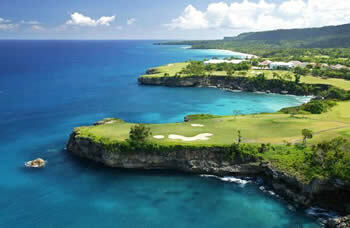 The Corales Puntacana Resort and Club Championship is the first PGA tournament held in the Dominican Republic. Previously the event was a Web.com tour stop but was promoted to the big kids table playing the same week as the WGC Dell Technologies Match Play tournament. Most of the field for the Corales Championship will be the rookies on tour that didn't rank high enough to play in this week's WGC and are looking for the 300 FedEx cup points and the two year PGA Tour exemption that comes with winning the tournament. 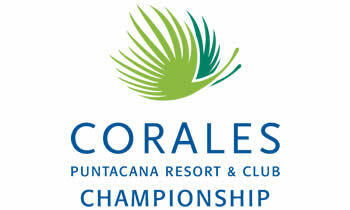 The 2019 Corales Puntacana Resort Championship will have a weaker field of players to make fantasy picks from. As mentioned, the top names on tour will be playing the Match Play Championship but because DFS sites can't come up wil a fantasy golf game for match play, DFS players that need their fix will have to settle for this tournament. With a distance of 7670 yards, it is a long course so a good strategy to focus on are guys with high driving accuracy off the tee. Not many golfers will have played here before so also keep an eye out for who has been hot entering the week and ride their streak of cuts or high finishes. You will be limited to lower GPP Prize pools this week but nonetheless, I'm sure you can find some good head to head cash games to make you some money this week at our affiliate partner site DraftKings.com. 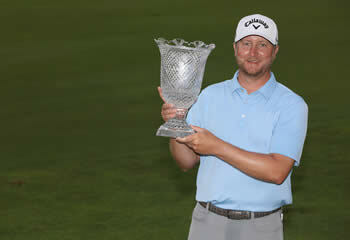 If you want to play fantasy golf this week then your only option may be the Corales Championship Open because the WGC Dell Tchnologies Match Play will have the best golfers playing, but the tournament setup doesn't allow for fantasy golf games to be created for it because of the format. Check out all the sites as things may have changed this year and the sites don't update until Monday for golf games but they haven't had games the last bunch of years since this new format began. This is a new tournament on the PGA Tour schedule and most of the players that are playing will not be in the top 64 in the world since they will be at the WGC Dell Match Play. Unless you have your PGA Tour rookie skills all set or know everyone in the 132 man field then maybe you need to sign up to GolfStats.com and use their expert research and picks to make your DraftKings fantasy picks. Use the GolfStats Coupon Code GOLFBONUS and get started on winning some real money in fantasy golf.